Seu pai HEAVENS LITTLE LENA, Importado. U$ 28.237,00. 4º.L Memphis Open Futurity; finalista Bonanza 5/6-Year-Old Open; finalista Brazos Bash Open Classic. Pai de HEAVENS LAST FLING, U$ 27.022,00, Campeão NCHA Limited Non-Pro Super Stakes; finalista NCHA Non-Pro Super Stakes e NCHA Limited Non-Pro Derby; OAKS LITTLE LENA,U$ 15.149,00, finalista Abilene Spectacular Open e Non-Pro Derby; A DASH OF HEAVEN, U$ 8.104,00, 3o. L Longhorn CHA 4-Year-Old Open; BANK IT IN HEAVEN, U$ 6.783,00, Campeão Northwest Festival $50,000 Limited Open Derby; QUIXOTE FROM HEAVEN; U$ 3.825,00, Res Campeã Utah CHA Limited Open Futurity. No Brasil é produtor de animais em várias modalidades de trabalho como: HEAVENS GUN, Campeão Nacional ABQM Laço Pé Am; 3x Campeão Latin American AQHA Laço Cabeça Ab, Laço Pé e Cabeça Am. ; HEAVENS CHOICE, R$ 21.538,00 ANCA, 3º.L Super Stakes ANCA; HILLY LITTLE LENA, Res Campeã Potro Futuro ANCA Ab Ltd; HEAVENS FAYR, 3º.L Potro Futuro ABQM Ranch Sorting Jv; SMART LITTLE BOON, Campeão Copa Campeões ABQM Team Penning Jv Pr. Sua mãe PEPTOS SPECIAL DATE é ganhadora de US$ 18,000 NCHA. É irmã Própria de CHERS SHADOW, mãe do Fenômeno METALLIC CAT. Earner of $25,339; NCHA Open Derby Reserve Champion; 7th NCHA open Futurity; AQHA Superior Cutting, 71 points. 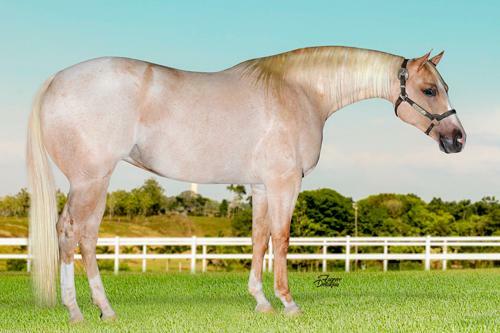 Dam of 12 foals, 11 money-earners earning $351,000, including CD Date (CD Olena), $117,659; finalist in the NCHA Non-Pro Futurity; 5th NCHA Non-Pro Super Stakes, etc. Yellow Roan of Texas (Peptoboonsmal), $73,010; 4th NCHA Non-Pro Futurity; Suncoast Winter Non-Pro Derby Reserve Champion. Missin My Date (f.by Miss N Cash), $43,733; PCCHA Non-Pro Futurity Reserve Champion. Little Steady Date (f. by Peppy San Badger), $22,111; 3rd, Sunbelt Futurity; money-earner Memphis Open Futurity. Peptos Special Date (f. by Peptoboonsmal), $18,225; finalist in the PCCHA Open Derby; 6th, Suncoast Winter Open Derby. 42 pts AQHA. Produziu: DOC'S DATE BAR - U$33.764,00 DOC'S STEADY DATE - U$25.339,00. Produziu: STEADY TRADITION - Campeão Congresso Reining Futurity, Res.Campeão Mundial WCH. CD DATE - U$108 mil. YELLOW ROAN OF TEXAS - U$73 mil - STEADY DOC - U$16.779,00 - TRIP DATE BAR - U$7.596,00. Produziu: SMART DATE - U$167 milm Campeã NCHA Futurity - DATA LENA - U$156 mil - LENAS SPICY N HOT - U$78 mil.